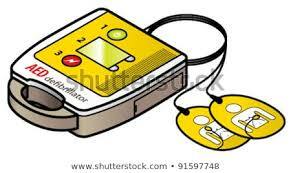 Lodge Polmont No 793 and Lodge Ancient Stirling are both holding defibrillator/cpr refresher training on Sunday 24th February 2019. Lodge Polmont training will be conducted by Norrie Brown and will run from 10am till 12 midday in Masonic Hall Brightons, maximum number of 20 participants, whilst Ancient Stirling's training will be conducted by Linlithgow First Responders and will be within the Masonic Hall Stirling and will commence at 2pm again maximum number 20. Anyone interested in Polmont please contact PGS Nicol Scobbie or Alex Muir (793). Anyone interested in Stirling please contact PGS Nicol Scobbie or Brian Wright (30).